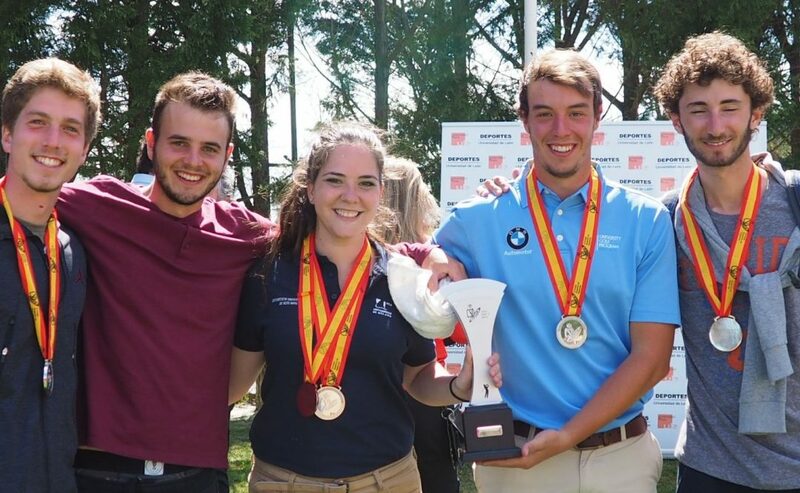 On Friday April 29 finished the Spanish University Golf Championship which took place at the León Club de Golf and counted with the participation of our players Victor Pastor, Andrea Gobato, Alberto Ascari, Genaro Ruiz, Roberto Rivas and Ana Maria Cabello representing the University of Malaga. The final round was played in a thrilling back, our player Victor Pastor finished second two strokes ahead of the winner Jaime Alzaga. The University of Malaga was also runner-up in the teams competition behind the San Pablo CEU University. In the women’s category, Silvia Bañon obtained the victory, Marta Trillo obtained the second position and Laura Maldonado finished 3rd. From UGPM we would like to congratulate the University of Malaga and our players for these impressive achievements!